The Early artichoke of Jesi is one of the typical Marche productions. It is particular because of the specific characteristics of the production area, the color, mixing different shades of green in various shades of purple, the small size and early harvest, which usually begins in March. During the two days were organized in the most representative places of Jesi, the small city that gave birth to Federico II, workshops and conferences. The restaurants, bars and wine bars, instead, have served special thematic menu for the occasion. During the event, early artichoke of Jesi was in fact presented in different dishes and as basic ingredient of various proposals – from appetizers, to the sauce to accompany the first, up to the sweet – and in unusual combinations: with ice cream and chocolate-based preparations. 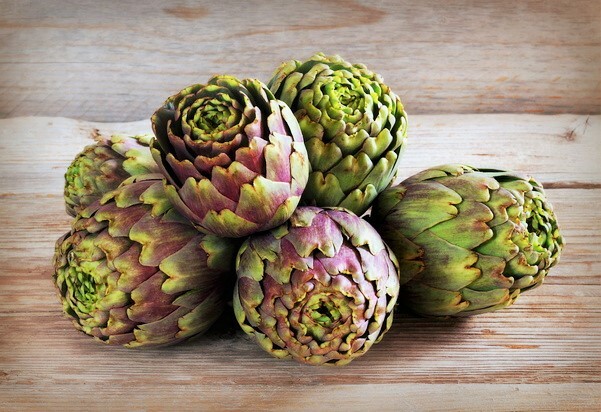 Early artichoke Jesi is of limited size, reaches a maximum of 30 cm in height, and is a product to be consumed fresh. The food industry uses it for the preparation of frozen artichoke, artichoke in brine or in oil. Artichokes are not only tasty, but also a source of fiber, calcium, phosphorus, iron and potassium, and have very few calories. Among the recipes linked to the territory and ever-present on local tables include artichoke casserole, a typical Marche dish. The artichoke casserole has a simple traditional preparation, in which the artichokes, cleaned and passed into the water and lemon, are inserted parsley, minced garlic and often breadcrumbs. The artichokes are then placed next to one another in a saucepan and cooked slowly with a bit of broth with the addition of half a glass of white wine. The territory of production of the early artichoke of Jesi, with its typical purple color, is located in the province of Ancona, especially in the municipalities of Jesi, Monsano, San Marcello, Belvedere Ostrense, Morro d’Alba, San Paolo di Jesi and Monte San Vito. Producers of early artichoke of Jesi have joined giving themselves the rule to stick to an organic crop. It was testimony to its cultivation already in 700 and it is counted in the PAT product list of the Marche region – with other fruits and vegetables including artichokes from Montelupone, which is collected in April and May and in whose traditional cultivation can be traced celebrations already dedicated in 1440. Since 2015, the artichoke of Montelupone became Slow Food, bringing to 7 the presidia of the Marche (see: the Presidia of the Marche Slow Food). Today in the Marche region three varieties of artichokes are considered indigenous, and are grown mainly (Source Agrimarche).